From 2008 through 2017, 1,566 workers perished trying to extract oil and gas in America. About as many U.S. troops died fighting in Afghanistan during that period. How a new oil boom is transforming West Texas, sending U.S. oil around the world and threatening efforts to fight climate change. 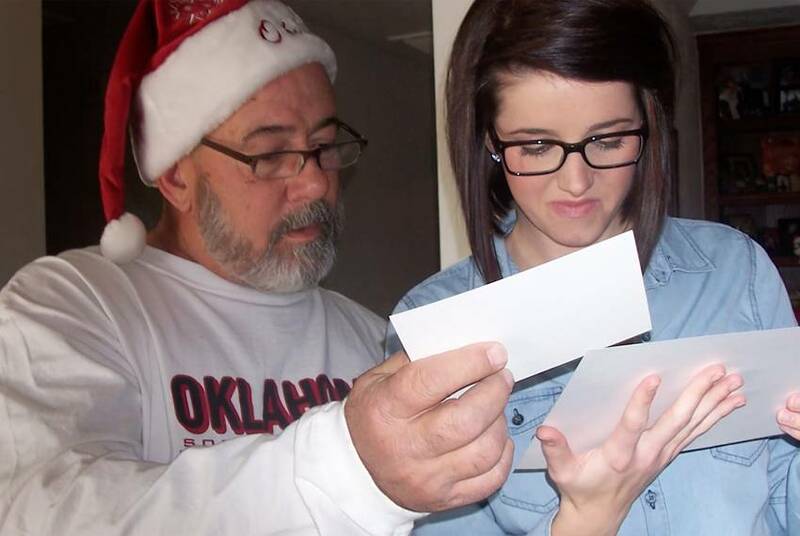 OKLAHOMA CITY — Parker Waldridge had worked in the Oklahoma oilfields since he was 16 and acquired the traits that make a good driller: fortitude, intellect and a healthy respect for the power of a runaway gas well. And so, when Waldridge’s wife, Dianna, heard there had been an accident on a rig he was working near Quinton, in the southeastern corner of the state, last Jan. 22, she tried to stay calm. Parker, an independent contractor hired as a well site consultant, was obsessed with safety and had not once expressed fear about a job during their 34-year marriage, she told herself. Still, on the four-hour drive to Quinton from their home in Crescent, north of Oklahoma City, dread began to creep in. 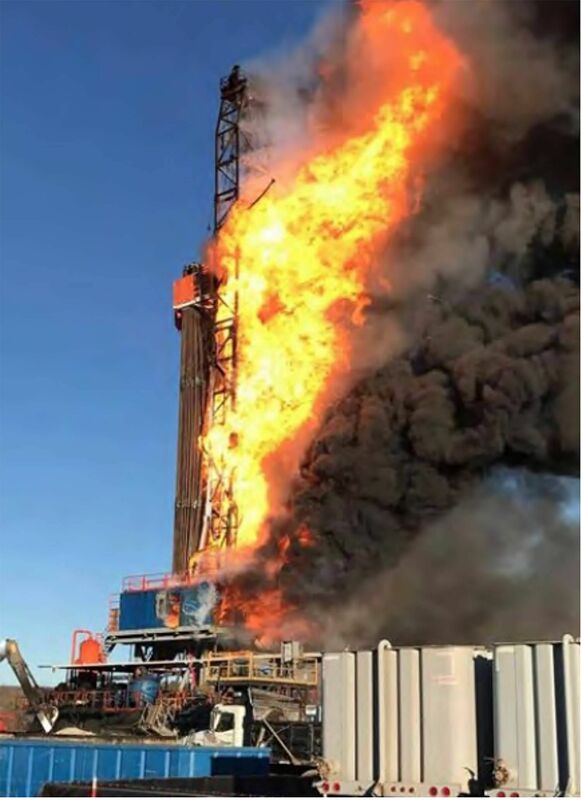 Dianna had learned before leaving that Parker was among five men missing after an explosion on Patterson Rig 219, operated by Houston-based Patterson-UTI. At a church in Quinton, she sat with her four grown daughters, a son-in-law and the other workers’ families, awaiting confirmation of what everyone there suspected: the men weren’t coming back. They would have to be identified through dental records. Drilling is an inherently dangerous undertaking, with a fatality rate nearly five times that of all industries in the United States combined in 2014, the last year such rates on oil and gas extraction were published by the government. Production pressures — and the temptation to cut corners — intensify during boom times, as America is experiencing now due to a rush of fossil-fuel exports. The work of coaxing oil and gas from thousands of feet underground is performed in biting cold and breathtaking heat by stoics like Parker Waldridge, who burned to death at the age of 60 in a driller’s cabin, known as a doghouse, atop the floor of Rig 219. From 2008 through 2017, 1,566 workers died from injuries in the oil-and-gas drilling industry and related fields, according to data from the U.S. Department of Labor’s Bureau of Labor Statistics. That’s almost exactly the number of U.S. troops who were killed in Afghanistan during the same period. During that period, OSHA investigated 552 accidents that resulted in the death of at least one worker. Among them were 11 accidents involving Patterson-UTI; OSHA found violations in 10. Initial penalties in the 552 accidents averaged $16,813, but later were reduced by, on average, 30 percent. (OSHA often cuts fines in exchange for quick settlements and hazard abatement). Some violations are still being contested by employers. Others were dropped by OSHA after negotiations with companies. The number of workers exposed to death, injury and illness in the upstream portion of the oil and gas industry — exploration and production — is growing, especially in the frenetic Permian Basin of West Texas and southeastern New Mexico. At the beginning of December, according to figures from oilfield services firm Baker Hughes, the basin accounted for more than half of the nation’s operating drilling rigs — 489 in all. In Texas, oil and gas extraction firms employ 2,400 more people than they did a year ago. But the real job growth has come in support activities: As of October, companies employed 170,600 derrick operators, rotary drill operators and other workers — 50,000 more positions than at the start of the decade. This puts more workers in the path of bone-crushing machinery, explosive gases and cancer-causing chemicals. Nonetheless, the upstream industry is exempt from key OSHA rules that apply to other industries. It does not have to comply, for example, with the process safety management standard, which requires that refineries, chemical plants and other high-hazard operations adopt procedures to prevent fires, explosions and chemical leaks. OSHA decided not to include upstream in the original standard in 1992 because it had proposed a rule specifically aimed at drilling. That rule was killed by the White House, whose occupant at the time, George H.W. Bush, had run his own oil company in Texas before entering politics. Unnerved by a catastrophic blast at a Texas fertilizer plant in 2013, then-President Barack Obama ordered OSHA to begin the process of updating the rule. The agency sought, among other things, to bring upstream into the fold. The response was chilly. The International Association of Drilling Contractors said the removal of the exemption would do “little to improve safety,” impose “unnecessary regulatory burdens and ultimately … result in Americans being put out of work.” The exemption stayed. David Michaels, who led OSHA at the time, said he met regularly with upstream leaders and they were not universally opposed to more regulation. Still, trade groups such as the American Petroleum Institute argued for the status quo, pointing to the industry’s relatively low injury rate. Michaels didn’t buy it. In a written statement, institute spokesman Reid Porter said, “API members strictly adhere to OSHA recordable injury reporting and other regulatory reporting requirements.” He wrote that injury rates within the upstream industry are decreasing and that the process safety management standard “may not apply well to upstream activities.” The Labor Department spokesman did not respond to a question on the standard. The numbers, whatever they are, don’t convey the warlike brutality inflicted in the oilfields when something goes wrong. On Aug. 31, 2017, 38-year-old Juan Vicente De La Rosa was working on a platform above a wellhead in Midland County, Texas, when a cable snapped, freeing heavy blocks that struck De La Rosa and killed him almost instantly. A photograph of the accident scene released by the Midland County Sheriff’s Office under a public-records request shows De La Rosa’s body on the ground, face up. His eyes are shut, his mouth agape. His blue shirt is smeared with what appears to be oil or grease. His left foot is bent outward at a 90-degree angle. His right lower pant leg is shredded. OSHA cited Big Lake for a single violation and proposed a $12,805 fine, which the company is contesting. It did not cite Pioneer. Pioneer and Big Lake representatives did not respond to requests for comment on the lawsuit; both denied the plaintiffs’ allegations in court filings. Traumatic injuries like those that killed Parker Waldridge and Juan De La Rosa aren’t the only existential hazards upstream workers face. Toxic gases — notably hydrogen sulfide, a component of crude oil that carries a distinctive rotten-egg odor — can be just as lethal. It was hydrogen sulfide, also known as H2S, that took the life of Gregory Claxton, an Iraq War veteran and the father of a 3-year-old boy, in Montague County, Texas, on Feb. 14, 2015. Claxton, 29, was a crude hauler for Twin Eagle Transport LLC of Houston. Twin Eagle was a contractor for EOG Resources, a large exploration and production company also based in Houston. Claxton moved oil by truck from a battery of storage tanks at EOG's Cooper B Unit, near the unincorporated town of Forestburg, to a pipeline in Wichita Falls some 70 miles away. It was part of his job to dip a bottle on a rope, known as a thief, into the tanks to collect a sample so the oil's consistency, or specific gravity, could be ascertained. (The lighter the oil, the more it is worth). He also was to measure the oil's depth and temperature to calculate the volume in the tank. 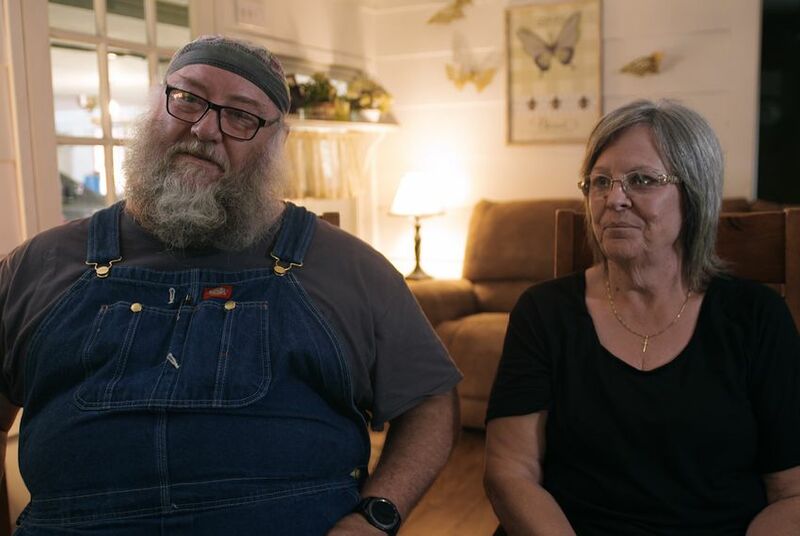 Gregory’s parents, Randall and Shellye Claxton of Nocona have settled a lawsuit against Twin Eagle but are still fighting EOG in court. EOG posted no H2S warning signs at the Cooper B Unit, they claim, and Gregory was given no respiratory protection. Had EOG alerted Twin Eagle to the presence of the deadly gas, Shellye believes, Twin Eagle — lacking the proper safety equipment — would have turned down the job. An EOG spokesman declined to comment; in a court filing, the company denied the allegations in the pending lawsuit. Twin Eagle did not respond to requests for comment but, in a court document, also denied the allegations before reaching a settlement with the Claxtons. Randall, who was hauling crude for Twin Eagle from a different location the day Gregory died, left the oil business after the accident. Now a long-distance truck driver, he said there is a culture of denial on H2S that extends to the Texas Railroad Commission — which, despite its name, regulates oil and gas drilling in the state. In an email to the Center for Public Integrity, Railroad Commission spokeswoman Ramona Nye wrote that agency inspectors conducted tests at the Cooper B tank battery on Feb. 19, 2015 — five days after the accident that killed Gregory Claxton. Pulling air into a test tube from a catwalk above the tank Claxton was gauging, the inspectors found “no H2S levels above 2 parts per million,” she wrote, and tests on April 10 of that year picked up no evidence of the gas. Nye added that “there are no H2S-designated fields in Montague County” — that is, no fields with H2S levels of 100 ppm or above. Such designations by the state require operators to provide worker training, post warning signs and implement safety and security measures. Frank Parker, the safety consultant, said that by the time the Railroad Commission did its initial testing on Feb. 19, the hydrogen sulfide levels just beyond the hatch of the tank would have dropped precipitously. “It’s going to disperse within a few minutes” after the hatch is opened, he said. OSHA says it takes at least 700 ppm of the gas to cause “rapid unconsciousness [and] ‘knockdown’ or immediate collapse within 1 to 2 breaths,” as apparently happened with Claxton. In an interview at Shellye and Randall Claxton’s house in November, James York, a family friend and longtime oilfield worker now preparing wells for production in the Permian, called Nye’s statement “bull----.” York speaks from experience. He recalled working at a tank battery just north of Nocona around 2000 when H2S “pegged my monitor out,” meaning the concentration was at least 100 ppm. He fled. Why would a regulatory agency insist there was no problem in Montague County? Asked to comment, Nye wrote: "Any operator found to be in violation of RRC rules [governing H2S] faces enforcement action by the Commission." During the 2018 fiscal year, which ended Aug. 31, the commission took 19 such actions statewide. Ten resulted in collective fines of $47,610; the other nine are pending or were dismissed. But if a field isn’t designated “sour” — imbued with potentially dangerous levels of the gas — there are no H2S rules to violate. The National Institute for Occupational Safety and Health, part of the Centers for Disease Control and Prevention, documented nine worker deaths nationwide during tank gauging between 2010 and 2014. These were likely due, NIOSH said, not to H2S but to inhalation of hydrocarbon gases or vapors or to asphyxiation by breathing oxygen-depleted air. The research agency issued alerts in March 2015 and February 2016. The warnings led to an American Petroleum Institute standard urging — but not requiring — operators to find automated ways to measure and sample crude in tanks, so workers wouldn’t have to open the hatches. The Interior Department’s Bureau of Land Management adopted a rule along these lines in 2016 for companies drilling on federal lands. The NIOSH alerts came too late for Gregory Claxton. They might not have helped even if they’d come sooner. And other insidious threats lurk in the oilfields, in part because of the upstream industry’s regulatory exceptionalism. The industry, for example, is exempt from a 1987 OSHA rule designed to strictly limit exposure to benzene, a highly volatile, carcinogenic component of crude oil. Instead, it is subject to a far more lenient limit, dating back to OSHA’s creation in 1971. Benzene is often released during “flowback” operations at well sites in which hydraulic-fracturing fluids and volatile hydrocarbons are collected at the surface and sent to tanks or pits. The OSHA exposure limit for benzene in industries such as oil refining is one part per million averaged over an eight-hour workday. The short-term limit is 5 ppm over any 15-minute period. For upstream companies, the eight-hour ceiling is 10 ppm and there is no short-term limit at all. In a 2014 paper, NIOSH researchers reported finding benzene spikes above 200 ppm during sampling of flowback operations in Colorado and Wyoming. That’s enough to cause symptoms such as dizziness, headaches, tremors, confusion, rapid or irregular heartbeat and unconsciousness. A number of upstream leaders belong to the National Service, Transmission, Exploration & Production Safety Network, a government-industry collaboration that covers 20 oil- and gas-producing states. The network helps spread the word about oilfield hazards such as lung-damaging silica dust, which is generated by the large-scale use of sand to hold open fissures in underground rock formations during fracking. In his statement to the Center, the Labor Department spokesman wrote that “OSHA is routinely in touch with employers in the oil and gas industry to improve health and safety.” He pointed to a safety conference in Houston, co-sponsored by the department, that drew about 1,200 people in early December. In Shellye Claxton’s view, however, there is no substitute for the strict policing of companies bent on making as much money as quickly as possible. At 6 a.m. on Jan. 22, Parker Waldridge reported for work at well 1H-9 on the Pryor Trust 0718 gas lease in Pittsburg County, Okla. As is typical, a tangle of companies was involved in the drilling of the L-shaped well, which had reached 13,435 feet. The lease holder was Red Mountain Energy LLC; the well operator, Red Mountain Operating LLC. The latter hired Patterson-UTI as the drilling contractor. Waldridge, an independent contractor, was working for a project-management firm called Crescent Consulting LLC. Within hours of Waldridge’s arrival on site, he and four others would be dead, burned beyond recognition in the 1H-9 doghouse. It was the deadliest drilling accident in the United States since the Deepwater Horizon rig exploded in the Gulf of Mexico in 2010, killing 11 workers. The tripping operation resumed, and by 6:10 a.m. on the 22nd as Waldridge’s shift began, the crew had removed the drill bit and other components from the bottom of the hole. Unbeknownst to the workers, gas had, in fact, entered the well during tripping. The well was equipped with a blowout preventer, but key parts of that device — blocks of steel known as “blind rams” — did not fully close. A towering, hissing fire erupted at 8:36 a.m. and was not extinguished until 4 p.m.
After an investigation, OSHA cited Patterson-UTI in July for six violations and proposed fines totaling $73,909; Patterson is contesting the citations. The agency cited Crescent Consulting for four violations and proposed fines totaling $36,586. It, too, is contesting. No citations were issued to either Red Mountain Energy or Red Mountain Operating. Meanwhile, Parker Waldridge’s wife, Dianna, has filed a wrongful-death lawsuit against Patterson-UTI, Red Mountain Energy, Red Mountain Operating, Crescent Consulting and mud-supplier National Oilwell Varco LP. The lawsuit calls Patterson a “rogue corporate entity” and accuses it of “a cascade of errors and multiple departures from safe drilling practices,” including failing to take countermeasures against “underbalanced” tripping, when pressure in the hole is greater than it is on the surface. This can allow gas to migrate into the vertical section of the well. Patterson-UTI is one of the biggest drilling operators in the country, accounting for 15 percent of the active rigs in the U.S. as of late November. Its corporate culture was laid bare three years ago, when it settled a discrimination case with the U.S. Equal Employment Opportunity Commission for $14.5 million. A lawsuit brought against Patterson-UTI by the EEOC on behalf of some 1,000 employees alleged the company “engaged in a nationwide pattern or practice of discrimination based on race and national origin on its drilling rigs,” assigning minority workers to the lowest-level jobs and disciplining, demoting or firing them disproportionately. Depositions associated with that lawsuit paint a grim picture of the work environment for people of color; one Native American driller, who kept a diary, testified that a supervisor regularly called him a “f------ Indian” and asked if he was "drunk" or "high." The Waldridge lawsuit accuses the company of having “the second worst worker fatality rate among its peers in the industry,” accounting for the deaths of at least 50 workers since 1999. In a written statement, Patterson-UTI said that “while we have no intention of litigating this in the press, it is important to note that Red Mountain was the lease holder and operator of the well, which was drilled under its direction, supervision and control. Red Mountain was also responsible for the well’s design and drilling program.” The company said it disagrees with OSHA’s findings and the “gross mischaracterizations” in the lawsuit and has “dramatically reduced workplace incident rates and significantly increased overall employee safety” in recent years. During a recent interview in Oklahoma City, Dianna Waldridge and one of her lawyers, Michael Lyons of Dallas, spoke at length about the Pryor Trust accident and its aftermath. Lyons said there was “a climate and a culture” of carelessness at Patterson-UTI, which made “terrible mistakes” on Rig 219. Dianna, who still works cattle and grows wheat on the 320-acre ranch she and her husband bought a quarter-century ago, struggled to maintain her composure during the interview. The anguish caused by the Pryor Trust blowout extends beyond the dead workers’ families. In a September deposition for the Waldridge case, Sheriff Timothy Turner of Haskell County, Oklahoma — which adjoins Pittsburg County and is home to many oilfield workers — testified that the accident is a frequent topic of conversation among residents of southeastern Oklahoma. “Every time there’s an incident with a Patterson rig now, it’s ‘Patterson killed those guys.’ … They believe that the person who oversaw that rig should be in jail,” Turner said. Joe Yerardi, Rachel Leven and Jamie Smith Hopkins of the Center for Public Integrity contributed to this article. The Center is a nonprofit, nonpartisan investigative news organization in Washington, D.C.